The legendary singer has supported the world’s biggest stars. Now she brings her creativity and powerful voice to the rich colors and textures of the orchestra. Even if her name is unfamiliar, Fischer’s voice is everywhere. If you listen closely, you can hear her voice in music by Sting, Tina Turner, Aretha Franklin and even in tracks for classical music stars like Yo-Yo Ma and Lang Lang. Fischer has provided vocal harmonies to some of the best-known albums from the past four decades. Despite her success, however, Fischer remained relatively unknown outside the music industry. All that changed when filmmaker Morgan Neville released his Oscar-winning documentary, 20 Feet from Stardom, in 2013. Fischer emerged as an unexpected star of the show, and, at age 57, embarked on her first solo world tour. Today Fischer travels with her own band, Grand Baton, and is launching a new symphonic project with the Seattle Symphony, February 16–18. Entitled “Just A Kiss Away,” the program juxtaposes classic rock, opera arias and the blues, all presented through the Fischer’s mesmerizing voice. In many ways, Fischer comes across less as the rock star and more like a meditation instructor. When she talks about music, she invariably refers to vibrations and the combining of palates, or even universes, of sound. 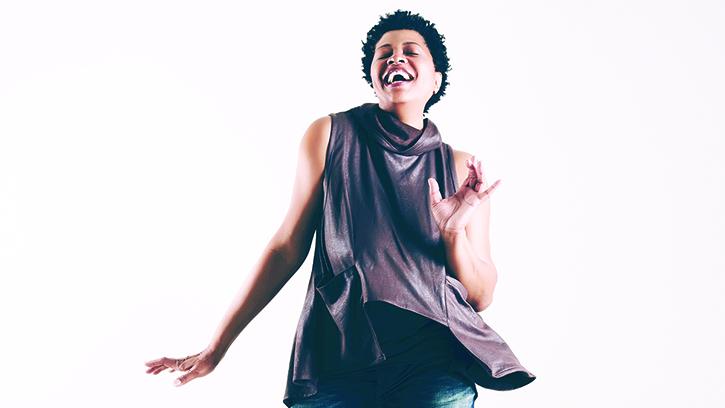 Lisa Fischer steps into the spotlight with the Seattle Symphony, February 16–18.